Deciduous tree or shrub. Height up to 20 cm. Flowering April-May. In the next floristic regions: Stara Planina (Eaest and Central), Sredna gora (Eaest), Znepole Region, West Frontier Mountains, The Rila, The Struma Valley, The Mesta Valley, The Rhodopes, The Slavianka and The Belasitsa [Assyov, B., A. Petrova, D. Dimitrov & R. Vassilev. 2012. 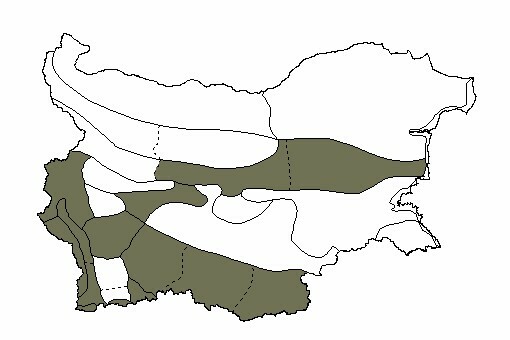 Conspectus of the vascular flora of Bulgaria . Sofia, Bulgarian biodiversity foundation]. Between 0 and 600 m altitude. Source: Assyov, B., A. Petrova, D. Dimitrov & R. Vassilev. 2012. Conspectus of the vascular flora of Bulgaria . Sofia, Bulgarian biodiversity foundation.